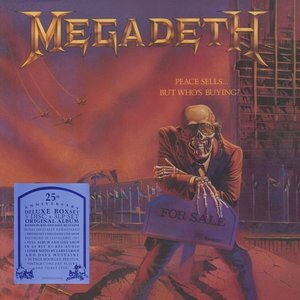 To celebrate its 25th Anniversary, Megadeth’s, Peace Sells... But Who’s Buying? 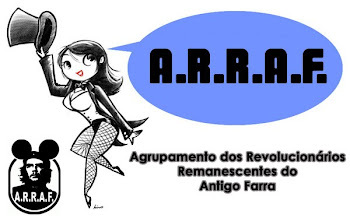 has been remastered for the first time and expanded with previously unreleased content on all formats. The multi-platinum selling landmark album will be available repackaged as a deluxe 5CD + 3LP box, with all formats to include a previously unreleased 1987 concert from the band’s first world tour and new liner notes written by Megadeth’s Dave Mustaine and Metallica’s Lars Ulrich. The deluxe box set also includes previously unreleased and rare mixes of the album’s tracks, hi res audio for the remastered album and concert, as well as an expanded 20-page book, 8”x10” photos and reproductions of vintage Megadeth memorabilia. Whilst the cover of the box uses a new, unique process of lenticular 3D which reinterprets the original cover in a spectacular 3D effect. A KILLER BOOKLET PACKED WITH PHOTOS, MEMORABILIA, CREDITS AND LINER NOTES BY LARS ULRICH AND DAVE MUSTAINE. Fully repackaged, Huge thanks to my friend Sanych aka liveevil!